Snail mail makes me happy. Since I was a child, receiving correspondence was the highlight of my day. I love receiving packages, letters—even if they’re ads—, and postcards. 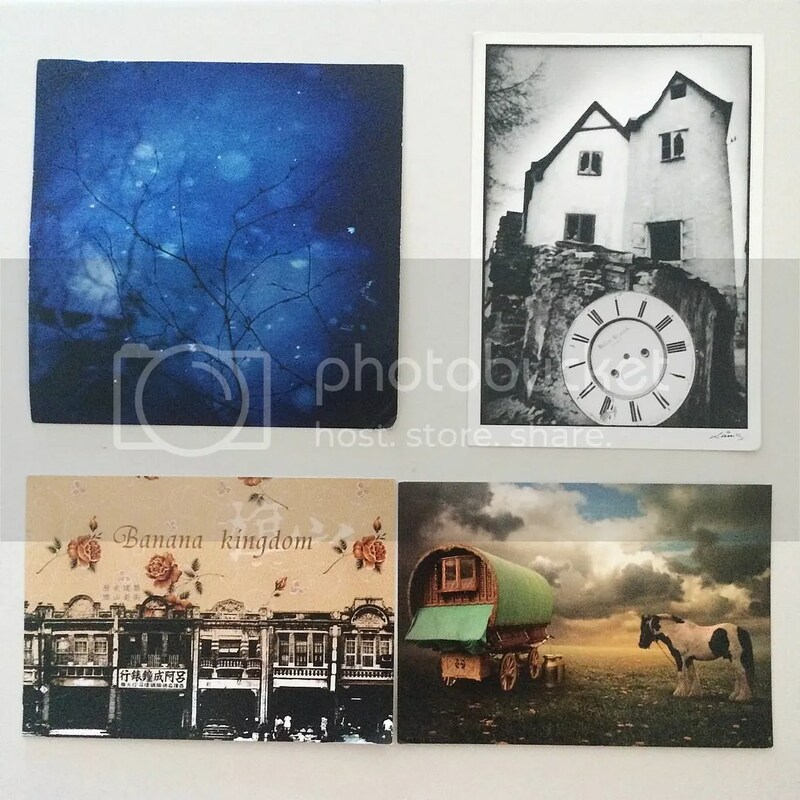 I love postcards, especially carefully written and decorated postcards with beautiful images and stamps. When I learned about Postcrossing, I knew I had to give it a try. I’ve been on Postcrossing for six years, even though I deactivated my account for most of that time. 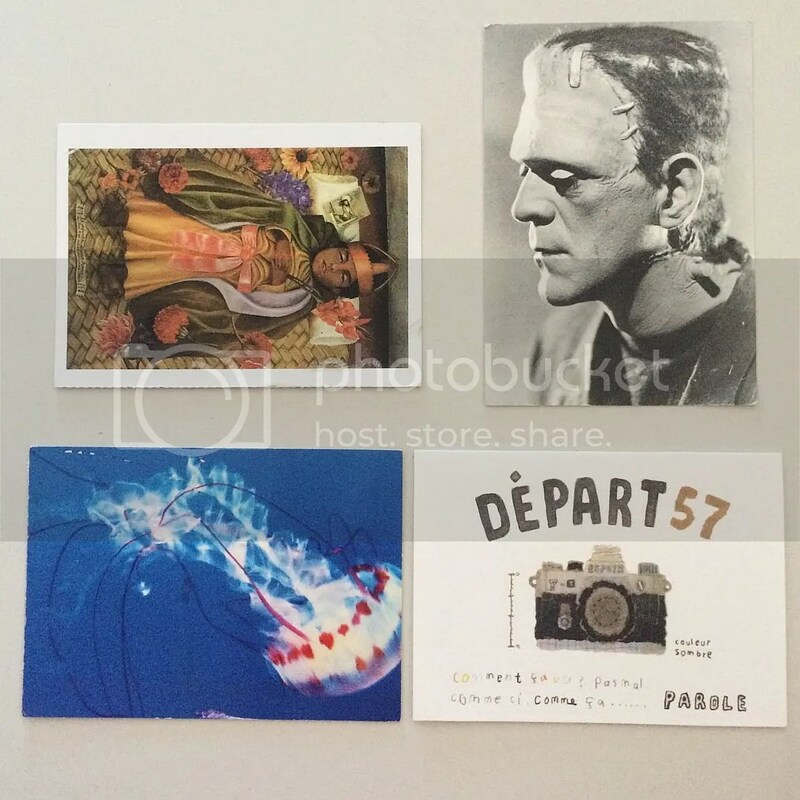 Postcrossing is a website where you can exchange postcards with random people. Recently I activated it again, and I’m loving it. 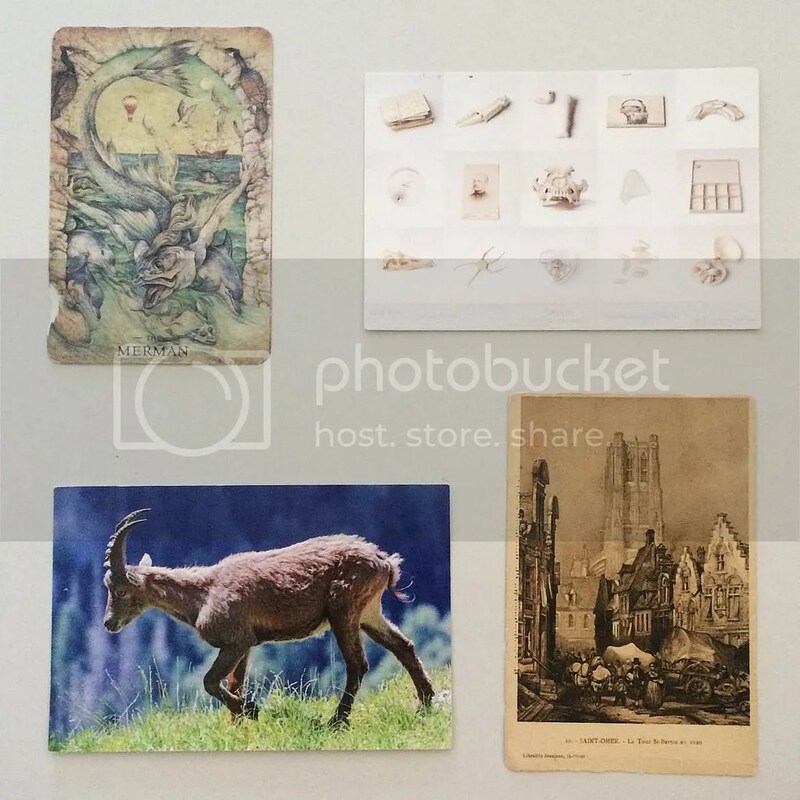 The trick is to take it easy, and send the postcards gradually, not immediately. That way you don’t waste so much money on stamps and postcards. I learnt this the hard way. In the end you will receive the number of postcards you’ve send that are registered by the recipient. To this day, my postcards have traveled 378,678 miles. Isn’t that exciting?! 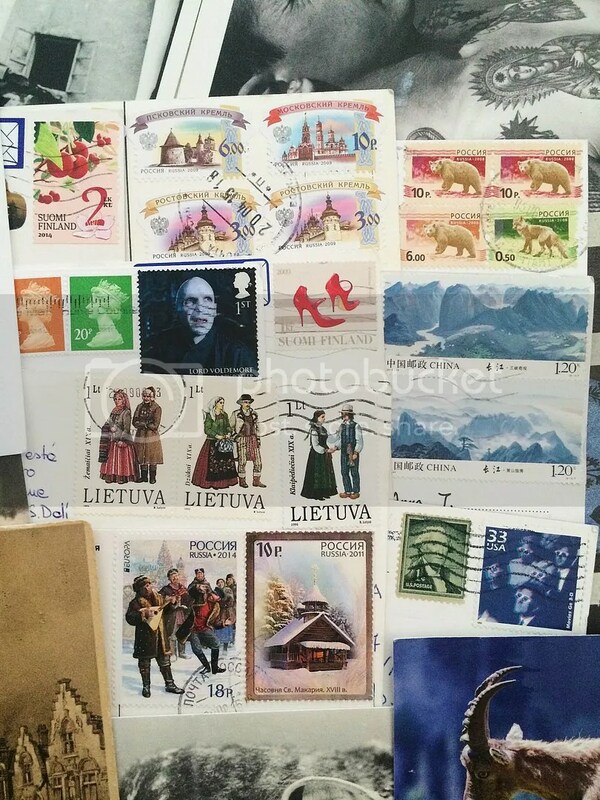 Here are my favorite postcards and stamps from my collection! I got most of them through Postcrossing. Top left: Merman. Top right: “Ik Verzamel” by Nicole van den Kroonenberg. Bottom left: goat. Bottom right: vintage illustration of the Saint Bertin Abbey in Saint-Omer, France. 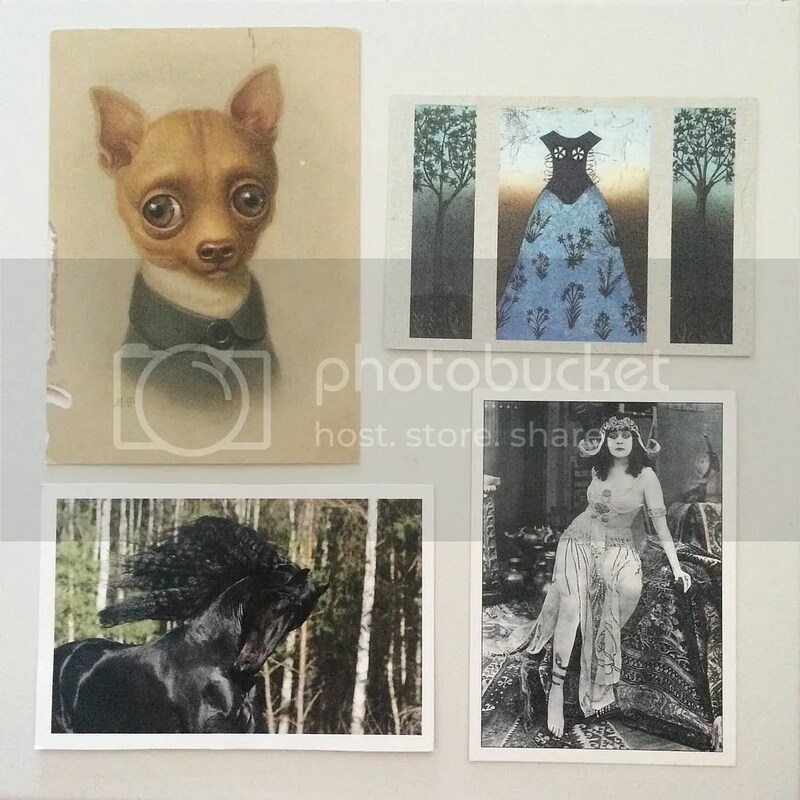 Top left: “The Deceased Dimas” by Frida Kahlo. Top right: Boris Karloff as the Monster of “Frankenstein.” Bottom left: jellyfish. Bottom right: camera illustration. Top left: Russian tattoo photography from Saint Petersburg, 1992. Top right: Lion’s mane jellyfish. Bottom left: “Don Quixote” by José Guadalupe Posada. 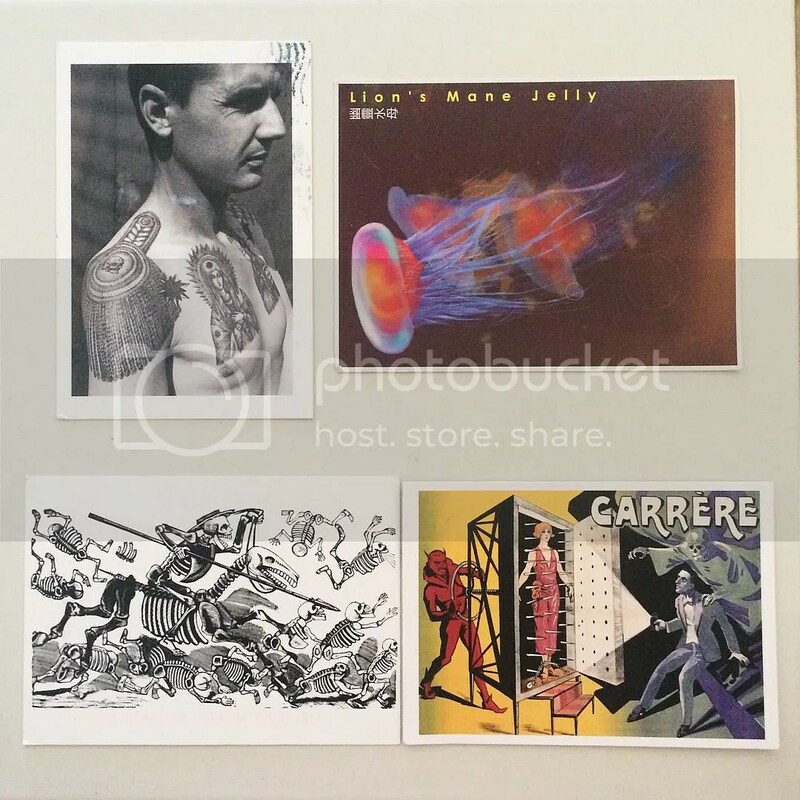 Bottom right: magic postcard from Taschen (can’t read the details). Top left: “1st of December” by Yana Tkacheva. Top left: by Michal Tůma. Bottom left: image from Qishan, Taiwan. Bottom right: (can’t read description, it’s in Russian). It took me several months to collect so much favorites. Since you can’t select the postcards that you’re going to receive, it’s hard to get amazing ones when so many people doesn’t read or care about your profile or interests. Still, I think now I have plenty that I really like. Do you like snail mail? And postcards? My friend is participating into that too and so far she loves it. 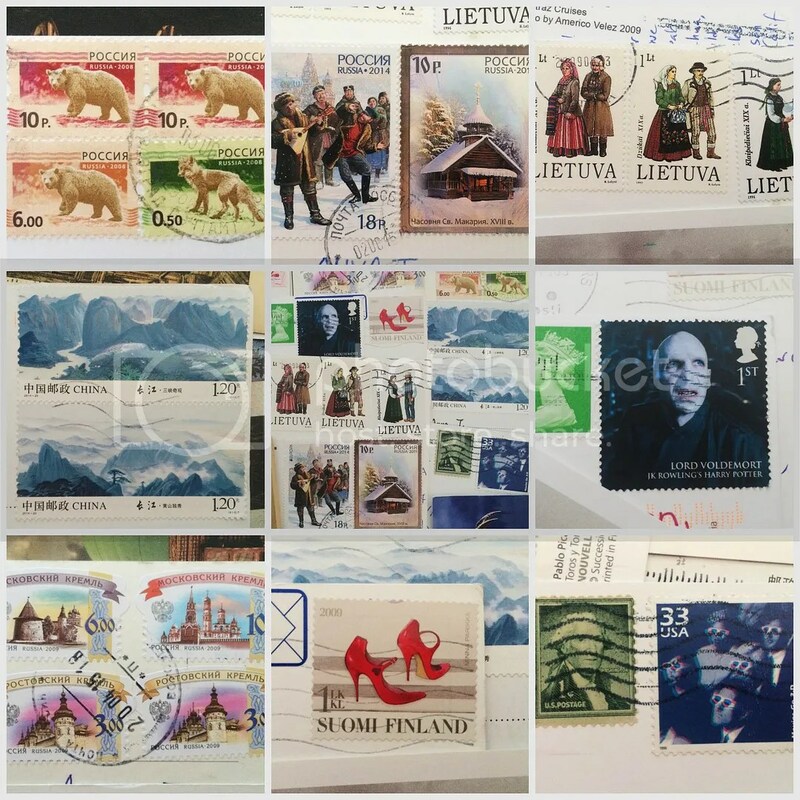 ^_^ Your collection is awesome, so many beautiful cards and stamps! Those are so pretty!! I’ve never heard of postcrossing.. I’ll have to check it out. I absolutely love old-fashioned letters 🙂 They’re so satisfying to find in the mail when it’s normally all bills and adds. Letters make you feel like the other person really took some time to think about you. If you like letters, I’m sure you will enjoy Postcrossing! No había comentando aquí pero tu colección es absolutamente bella! Visually stimulating and inspiring!